The first three days have been filled with Tony winners including three 2014 nominees yesterday alone (sorry, Brian J. Smith, Lena Hall and Audra McDonald fans! ), but here’s the schedule so you don’t miss any more. Click here for more on Broadway Cares/Equity Fights AIDS, and then head out for a cookie! It would be awesome if they can top the $10,000 mark this year! 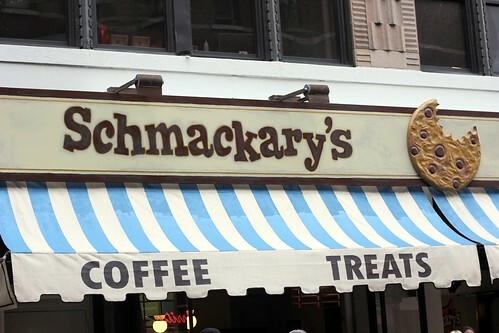 Posted by Blondie at 11:14 am, May 29th, 2014 under Schmackary's.